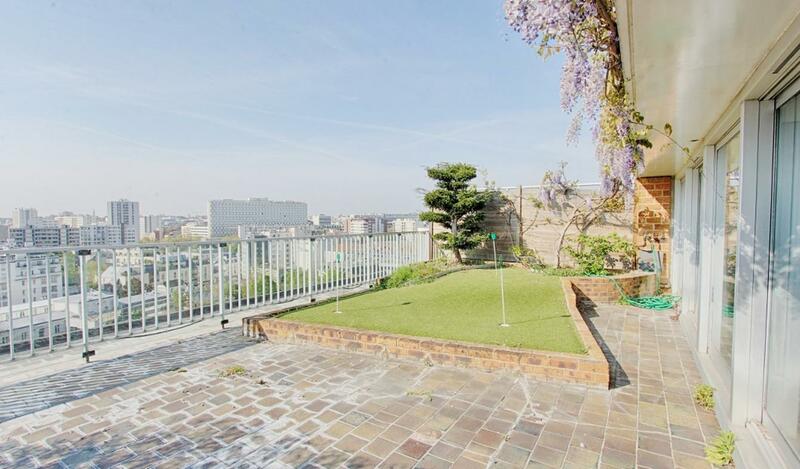 PARIS 13th- APARTMENT PENTHOUSE DUPLEX WITH 2 TERRACES IN THE LAST FLOORS WITHOUT ANY VIS-A-VIS. Located near the Place Denfert Rochereau on the last floors (10th and 11th), duplex apartment of 147 m² living space (100.85 m² Carrez law as described in the condominium regulations) with balconies and two terraces on one level. 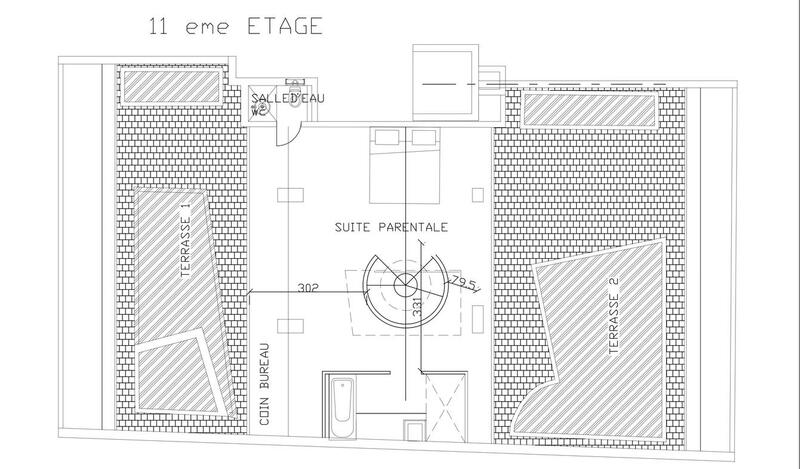 total area of ​​76m ² without any vis-à-vis. The view is entirely clear and gives on one side on the gardens of the Augustinian Sisters and on the other on the artists' studios of the Cité Fleurie. The apartment can be easily restructured if you want to create 3 or 4 bedrooms.